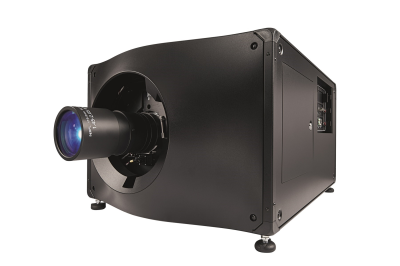 Christie® is pleased to announce that HOYTS has purchased several units of the newly introduced CP4325-RGB pure laser cinema projector to deliver unmatched visuals in mainstream auditoriums and post-production facilities in Australia and New Zealand. Besides the new CP4325-RGB projectors, HOYTS’ Docklands site will also install the Christie CP42LH fibre-coupled RGB pure laser projection systems in two XtremeScreen premium format auditoriums equipped with screens of over 20 metres wide. Each CP42LH unit will be upgraded to 60,000 lumens to deliver the brightest and most engaging visuals. As a longstanding and valued partner of Christie, HOYTS CTG specialises in the design, build, implementation and support of HOYTS’ cinematic technologies to the highest standard. It also offers its service and support capabilities to other exhibitors and companies requiring assistance in the procurement, installation and ongoing support of digital cinema and related technologies. For over two decades, Christie and HOYTS CTG have collaborated on numerous projects across Australia and New Zealand to deliver the best visual experiences possible. These include independent exhibitors such as Palace Cinemas, as well as post-production house Definition Films, which has a CP42LH deployed at its facility in Sydney. “HOYTS has been using our equipment exclusively and they have many venues in Australia and New Zealand. And between us are two companies that built a breadth of experience over many years in terms of delivering the best movie-going experiences to customers. As we roll out the CP4325-RGB projectors, we look forward to even stronger growth in the Australia and New Zealand marketplace in the future,” noted Bosworth. Featuring Christie’s new CineLife™ Series 3 electronics and RealLaser™ illumination, the direct-coupled Christie CP4325-RGB offers a wide colour gamut exceeding DCI P3 specifications, enhanced contrast ratios and high frame rates (HFR) compatibility. With its innovative all-in-one form factor that eliminates the need for sub-ambient external cooling, the direct-coupled Christie CP4235-RGB utilises next-generation, pure red-green-blue direct-emitting laser technology that offers an unparalleled visual experience for the mainstream market. It also provides rich colours, higher contrast ratios, and the lowest total cost of ownership of any projector in its class. Employing next-generation RGB pure laser devices, the CP4325-RGB ensures an impressive and reliable operational life of more than 30,000 hours, with only a 20 percent loss in brightness over this time. The projector also boasts a contrast ratio of up to 6000:1 and provides better uniformity and a wider colour gamut than other cinema projection systems. In addition, its compact form-factor means that it can be easily integrated into standard cinema booths. From its 1909 inception, HOYTS has gone on to become one of the world’s leading entertainment companies – boasting over 400 screens and more than 75,000 seats across its network. Today, HOYTS is the largest single-brand movie exhibitor in Australia and New Zealand. For more information, go to: www.hoyts.com.au.